Chicago, Illinois based black/death metal militants KOMMANDANT have always been ahead of their peers when it comes to spawning astounding crafts by delving into the disruptive region of extreme metal. With one mini album, four full lengths and numerous demos and splits, the US legion have become a strong force to be reckoned with in the underground metal scenario. Blood Eel, the latest offering of the band came out a few weeks ago on CD via Italian label Aeternitas Tenebrarum Musicae Fundamentum. French label Krucyator Productions will release this extramundane oeuvre on tape format on October 30, 2018. KOMMANDANT, an extreme metal band hailing from Chicago, are the harbingers of a new sonic innovation. Their sound draws notice in and of itself: many of their reviewers have written that they are one of the most notable up-and-coming bands to come out of the U.S. black metal scene. KOMMANDANT have thus far staunchly refused to publish any lyrics, preferring the listener take away what they put into it. Not surprisingly, this leaves fans and reviewers snapping up any information or insight that the band puts out, hoping to gain some sort of knowledge about what is really going on. Every article that has been written, every review that has been proffered wonders what is going to come from them next, the sense that this is the cusp of something big. What truly sets them apart is their aesthetic. 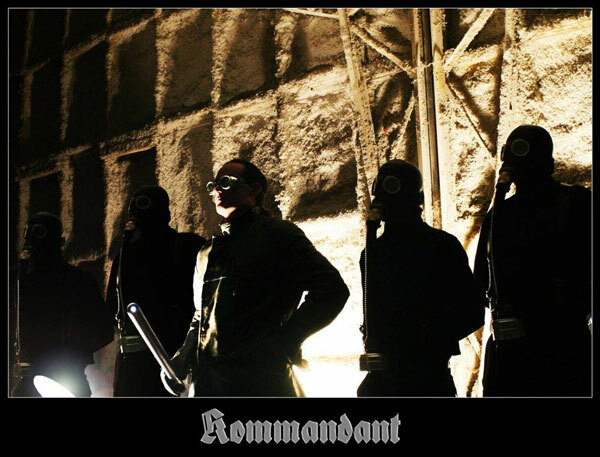 Throughout their thirteen years of notorious actions, KOMMANDANT have showed how consistency can match in a constructive way with progression, forging a solid extreme metal aggression. The misappropriate ear can easily point out how a crossover of black metal and vicious death metal can be a label for KOMMANDANT, but the story is more complex. “Blood Eel”, the latest and the fourth album of the band, is the most obvious symptom of this artistic path. The production transfers the coldness of the ’90s black metal fetish to a professional and powerful soundscape where all instruments take part to the murderous party. By adding monolithic strength to the subconscious shading of their conceptual stream, KOMMANDANT have shifted to the darker and more oppressive side of the black metal realm. Originally released on CD format (limited to 300 copies) on September 01, 2018 via Aeternitas Tenebrarum Musicae Fundamentum, “Blood Eel” will see its tape release on October 30, 2018 through the flag of Krucyator Productions. NITRO: “LUCIFERO” (prod. Yazee), il primo artista italiano a partecipare all’esclusivo format tedesco COLORS! Orpo Piru sign with Naqada Music Management! 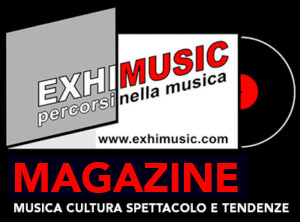 Oggi è Venerdi 26 Aprile 2019 – Sono le ore 10:39.